Today’s main news: Citigroup may open a national digital bank. Marcus to open in UK, Goldman recruiting engineers. Robo.Cash posts 2017 results. Tera Funding to hedge P2P project finance risk. Today’s main analysis: Preparing taxes for LendingClub, Prosper investments. Today’s thought-provoking articles: Why institutional investors turn to marketplace loans. Branches are still disappearing despite Chase’s investment. Credit card customers prepare for UK crackdown. China IPOs will continue to disappoint investors. Inflation anchoring and zombie killing. Citigroup, Kabbage partner on fintech cybersecurity consortium. P2P lending sees a new phase of growth and development. TransUnion intros new IDVision Alerts. Varo Money announces new SMS Alerts. Rentlender offers finance options for renters. StraightUp offers real estate investing opps in New York City. Capitolis gets $29M in venture capital. Credible appoints new general counsel, corporate secretary. GDS Link to exhibit at LendIt Fintech. Upgrade named best place to work in Bay area. Credit card customers prepare for debt crackdown. Assetz Capital onboards 3K investors for IFISA. Scottish business borrowers think outside the bank. Why SME banking may spawn the next big winners. Wealth Wizards launches AI robo system. Chinese IPOs to continue to disappoint investors. About inflation anchoring and killing zombies. 3 websites for borrowing, lending Bitcoin. RateSetter CEO says Australia should play catch up on comprehensive credit reporting. Promontory says AI for banking compliance is a long game. Verrency is accepted into Plug and Play Tech Center. Tera Funding hedges P2P project finance risks. Fintech lenders fire back at Indonesian regulator. Katipult named finalist for most promising partnership award. Citigroup Inc is laying the foundation, through a growing network of mobile banking tools, to support the launch of a national digital consumer bank sometime within the next three years, its chief financial officer said on Tuesday. Citigroup, the fourth-biggest U.S. bank by assets, had fewer than 700 U.S. branches at year-end compared with more than 4,000 at the three biggest banks, JPMorgan Chase & Co, Bank of America Corp and Wells Fargo & Co.
Four financial companies including Citigroup Inc.C -0.48% and online lender Kabbage Inc. said Tuesday they have formed a consortium to address fintech firms’ cybersecurity risks, a sign of the industry’s growing links to traditional banks and insurers. Greenwich Associates, an unaffiliated research company, conducted a study to better understand how marketplace lending is perceived and the current state of adoption within the institutional investing community. Sixty-seven percent of institutional investors cited the higher yield that marketplace loans tend to offer as their primary reason for investing. Almost 40% of institutional investors who are not yet invested in marketplace loans said they didn’t know how to characterize them. Since mid-2017, however, each new issuance was rated by at least one rating agency, removing this obstacle and further broadening exposure to the asset class. Investors deeply value data and analytics, which are key to understanding the credit profile of borrowers on marketplace lending platforms. While the secondary market for marketplace loans is illiquid, there is a more active secondary market for the securitized offerings. A majority of current investors, 52%, believe that marketplace lending will be a significant player in the financial system in the next 10 years. This is another meaningful vote of confidence in the industry. Among the investors participating in a new Greenwich Associates study, 30% of institutions not currently investing in marketplace loans (MPL) are watching the space or conducting research and due diligence on the asset class—a level of interest that suggests future institutional involvement is on the horizon. The first marketplace loans were securitised in September 2013, and the trend has accelerated rapidly since then. Cumulative issuance now stands at $28.2 billion, with $4.4 billion issued in Q4 2017. Note that investors who invest through a retirement account do not have to worry about tax reporting. Here at Lend Academy we believe there is a strong case for investing in marketplace lending through a product like an IRA. I had $12.21 in proceeds (recoveries) from loans that were charged off which is offset by the cost basis of charged off loans, $204.33. This resulted in a net loss of $192.12. On my 1099-B outlining long-term transactions I had proceeds of $109.64 with a cost basis of charged off loans of $1,469.02 resulting in a net loss of $1,359.39. The short and long-term transactions roll up on the 1099-B summary shared above (middle box). Ignoring taxes, I earned a profit of about $500 on my LendingClub account for the year. Below is my 1099-OID which includes the net interest of $840.62 I received for the year. My losses totaled $834.71 which means I earned a net return of around $100 for the year. The negotiations between Amazon and big banks like JPMorgan Chase and Capital One to offer a checking-account-like product pose significant questions for regulators about the e-commerce giant pushing further into the banking space. What is Amazon’s role in the accounts? If JPMorgan is “contracting with Amazon to do the marketing and customer intake, in that case, Amazon is subject to the regulation for those activities,” similar to other bank partnerships, said Brian Knight, director of the program on financial regulation and a senior research fellow at the Mercatus Center at George Mason University. Who, if anyone, would regulate Amazon? Another tricky question is which agency would regulate the partnership depending on how it is structured. For example, if Amazon were to act as a vendor to the bank, the e-commerce company would fall under a wide range of bank regulations involving partnerships and data security. However, if JPMorgan were to be a vendor to Amazon, those regulators would have limited influence over the deal. Earlier this year JPMorgan Chase announced it’s investing $20 billion in 400 new branches and last week at the company’s Investor Day CFO Marianne Lake said 75 percent of its deposit growth comes from customers that visit its branches. Research published last month by Novantas shows 60 percent of Americans would still prefer opening a checking account at a branch than on digital channels and a September report by Deloitte similarly found 56 percent of people prefer to open bank accounts in branches (based on a survey of 3,000 consumers who had opened a deposit wealth management or consumer loan between January 2016 and May 2017). JPMorgan Chase may be opening hundreds of new branches, but that hardly suggests every bank will follow. Global financial services and ATM producer NCR has been watching revenue fall over the past year where ATM sales and software licenses are concerned as revenue from services and cloud has shown a slight uptick. Diebold Nixdorf, another manufacturer of connected commerce and self-service products in the banking and retail industries, reported a 9.6 percent decline in revenue from banking sector services to $3.4 billion from 2016 to 2017. As of February 2018, US bank lending of various kinds – auto loans, commercial credit, mortgages, credit cards or small business lending – constituted $11.7 Trillion, representing around 60% of US GDP and 70% of commercial banking assets. Though common in Europe, chip cards with PIN numbers still haven’t caught on in the U.S. But a mobile chip-and-PIN terminal could nudge more retailers to get on board. A new TransUnion (NYSE:TRU) analysis found that the growth in outstanding balances of suspected synthetic fraud in the credit card market is slowing in large part due to recently focused efforts by issuers to prevent such instances of fraud. TransUnion today introduced 25 new IDVision Alerts and data enhancements to its current collection of alerts, including new alerts for possible synthetic fraud, new or recently created identities and social security numbers that may be compromised. In total, TransUnion IDVision Alerts now provide more than 65 notifications to businesses about high risk, suspicious identities and other potentially fraudulent activities. Mobile banking startup Varo Money, Inc. is demonstrating its commitment to help Americans build real savings with the launch of 1.25% annual percentage yield (APY) on their Savings Account, where most traditional banks offer 0.01-0.04%. Varo is also announcing a new product feature, SMS Alerts, which make it easier for customers to track their spending and see where their money is going. The company built this feature in response to survey findings that show too many Americans—and millennials in particular—need help with their overall financial health, both to build emergency savings and to avoid the perpetual state of stress about money. Varo’s 1.25% APY Savings Accounts have no fees or minimum balances and offer a rate that is more than 60x the average rate offered by traditional banks. According to mybanktracker.com, the top five biggest national banks offer an average of 0.02% APY; many traditional bank savings accounts have a minimum balance requirement or fees. 1.25% APY High-Yield Savings Account: All Varo customers can easily open an online savings account with a few taps through the Varo app and receive a rate of 1.25% APY. Customers can access funds 24/7 and easily transfer money from their checking into savings. There are no fees or minimum balances required. SMS Alerts: Customers can receive notifications based on aggregated financial activity across all linked accounts that let them know how they’re doing on income, saving, and if they are at risk of overspending so they can stay on top of their money effortlessly. Standard text messaging and/or data rates from the wireless service provider may apply. According to a Harvard University housing report, over 110 million Americans, or about 36 percent of households, now live in rental units — an increase of 9 million renters over the past decade — the largest 10-year gain on record. Unfortunately, other records are being smashed too: the number of cost-burdened renters — that is, households paying more than 30% of their income on housing — jumped to 21.3 million. And a record 11.4 million Americans are spending more than half their income on rent. The news is even worse for New Yorkers, who last year spent 65.2%, or two-thirds of their total income, on rent2. With upfront rental deposits and fees at move-in costing over $3,000 (more if you live in New York City, where comparable costs typically top $20,000); there has never been a greater need for finance options for renters. Beginning today, New York City-based startup Rentlender is partnering with Upstart to provide modern financing solutions for renters. Check Your Rate – With a quick form, renters can see the loan options for which they qualify. Submit an Application – Complete the application online and indicate the bank account where funds should be sent. Accept Your Loan – Upon approval, log in and digitally sign loan documents. Funds can be available as quickly as the next business day. These two problems are big hurdles for investors, but StraightUp is offering a solution to these woes. Crowdfund Insider notes that it is a new real estate crowdfunding platform that provides backers and investors an “unbeatable opportunity” on properties in New York City. Who gets: Capitolis, a New York-based technology provider for the capital markets, secured new funding. Amount raised: $20 million in series A financing, plus $9 million in seed funding. Credible, the consumer finance marketplace that helps consumers save money and make smarter financial decisions, today announced that it has appointed Jobe Danganan as general counsel and corporate secretary, effective immediately. GDS Link, a global provider of credit risk management solutions and consulting for multiple verticals within the financial services industry including marketplace lending for both consumer and small business, point of sale retail finance, alternative financial services, credit card, auto and leasing, will be attending LendIt Fintech USA 2018, April 9-11 at the Moscone West in San Francisco. Upgrade, Inc. (https://www.upgrade.com), a consumer credit platform that combines personal loans with tools that help consumers understand and monitor their credit, announced that it has been named a ‘Best Place to Work in the Bay Area’ finalist in the small company category by the San Francisco Business Times and Silicon Valley Business Journal. Goldman Sachs is recruiting engineers in London to help build and launch its online lender, Marcus, in the UK. 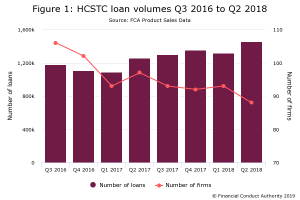 The Financial Conduct Authority (FCA) has, as of this month, given credit card providers six months to adhere to the new rules that tackle the issues surrounding persistent debt*. From September 2018, credit card providers must review the last 18-month history of a borrower’s repayment records, if they are in persistent debt, and assess whether they are subject to the new rules. ASSETZ Capital has had almost 3,000 investors start the process of setting up an Innovative Finance ISA (IFISA), with those who have already started investing putting an average of nearly £12,000 into the product. SMEs are the backbone of the Scottish economy, making up 99% of the business population and accounting for more than half of all private sector employment. The unemployment rate in Scotland rose to 4.5% in the final three months of last year, slightly higher than the rate of 4.4% for the UK as a whole, but there are grounds for optimism. Independent forecasts suggest that growth in the Scottish economy will be slightly higher than last year. According to research from the British Business Bank , published on 20 February, net bank lending remained “relatively flat” in 2017, while P2P business lending volumes rose by 51% to almost £1.8 billion. Small businesses, which account for more than 99% of private businesses in the UK and in aggregate contribute more than half of turnover and employment, are particularly poorly served by big banks. The big five high street lenders are built for serving either retail customers or medium-size and larger companies with collateral to back three-year and longer term loans that the banks like to hawk to companies that do not really need them as a way to sell associated risk management. Small businesses want short-term, flexible working capital with no punishing fees for low usage or early repayment. This is expensive for banks to underwrite – especially for new startups and sole traders lacking several years’ worth of financial history – and to administer. Few small businesses want the interest-rate hedging and FX facilities that banks like to bundle up with term loans for medium-size and larger corporate customers. The market is at last now producing non-bank competitors looking to provide the right kinds of services and products for small businesses – ones that give these challengers a shot at the £2 billion of annual revenue the British Bankers Association suggests SMEs now pay for financial services. Wealth Wizards, the robo-adviser majority owned by LV, has launched an artificial intelligence service which will learn how advisers serve their clients and replicate that house view. Industry watchers foresee a 25% to 30% increase in the the number of Chinese IPOs in the U.S. in 2018, versus 2017. That’s a significant gain given that the number of Chinese IPOs in the U.S. in 2017 was more than double the number in 2016. Peer-to-peer lending company Qudian Inc. raised more than a billion dollars when it went public on the New York Stock Exchange in last October. Today the stock is down just over 50%, according to data from Dealogic, a loss of more than US$500 million for investors. The average PE ratio for profitable Chinese companies listing in the U.S. reportedly rose to 50 in 2017, versus 31 a year earlier, driven in part by the marketing efforts of the three banks behinds most of the IPOs, Morgan Stanley, Credit Suisse AG, and Goldman Sachs Group Inc.
Another problem has been the Chinese government’s crack down on online consumer lending. This has hurt the businesses of financial technology companies, which made up the largest group of IPOs in 2017. Robo.cash outlined the results of its first year in operation on the European P2P lending market: 2,000 investors from the EU and Switzerland invested over €3M in the issue of 330,000 short-term PDL-loans in Kazakhstan and Spain. The average inflow of investments is €240,000 with 150 new investors joining the platform monthly.Robo.Cash views the results and platform dynamics as proving the growing demand for complex automated solutions in the global alternative fintech. The European P2P-platform Robo.cash was launched in Latvia on February 21, 2017. It has achieved to attract over €3 million and 2.000 investors from 29 European countries (the EU and Switzerland) in one year. The average inflow of investments is €240 000 with 150 new investors joining the platform monthly. Credit-constrained industries grow faster in countries with well-anchored inflation expectations, based on an IMF analysis of data covering 22 manufacturing industries for 36 advanced and emerging-market economies between 1990 and 2014. It seems to be the anchoring – not the level – that matters for growth. So while most advanced economies angle for 2 percent, there’s nothing magical about that number. The share of global zombie firms – low-productivity companies that struggle to meet their interest payments – has more than tripled in the past two decades, climbing to 2 percent of companies in 2016 from 0.6 percent in 1996. Early, incomplete data for 2017 indicate that the may finally be disappearing, suggesting that climbing interest rates are making it harder for the laggard firms to hang on. They have more than 100,000 happy borrowers and investors. The peer to peer Bitcoin borrowing community has offered loans to more than 2500 borrowers. The loan application process is simple, and the loans can be received within one hour. Investors receive up to 13% interest on the loans they give, with some investors having a history of loaning to more than 100 borrowers. The duration of the loans, which are generally to help finance small businesses, range from 6 months to 3 years. Bitbond has users from more than 120 countries, and has an investment volume above $1million. With a large user base above 20,000, from more than 60 countries, Btcpop holds a volume above $1million. BTCjam has more than 100,000 users from more than 200 countries. The website supports peer to peer lending and has a volume of more than $13 Million BTC in their holding. For many Australians hearing the words ‘credit history’ may well elicit a shudder down their spine – especially if they’re looking at taking out a finance option such as a personal loan, credit card or home loan. But in just under four months that could well change, with the impending implementation of mandatory Comprehensive Credit Reporting (CCR). From July 1, the big four banks will be required to have at least 50% of their credit data – both positive and negative – available to be shared, which Daniel Foggo, Australian CEO of peer-to-peer lender RateSetter, suggests will help Australia catch up to the rest of the world. The inaugural chairman of the Australian Prudential Regulation Authority says it will take “massive investment” before regulators let banks use artificial intelligence to meet their multimillion-dollar compliance obligations. While AI is being used to deliver personalised banking experiences to customers via “chatbots” and helping bank staff make more customer-centric decisions, the technology which Promontory thinks has the capacity to cut sky-high compliance costs is still a work in progress. The company is combining its regulatory prowess with IBM’s artificial intelligence technology known as “Watson” to cut costs, but also to improve accuracy for regulators. More and more women are taking charge of their financial decisions and moving beyond the usual investment routes and looking at P2P lending, mutual funds as options. Rajat Gandhi, Founder and CEO, Faircent, believes that gone are the days when women investors looked only at traditional tools of investments as part of their financial planning. “These ambitious go-getters are increasingly ditching the traditional tools of savings and investments and exploring the relatively new and more lucrative forms of investments,” said Gandhi. At Faircent, 14% of the lenders registered are women and they account for 21% of the total amount disbursed through the platform. “Female lenders on our platform are earning an average NAR of approx. 20% p.a proving that women tend to invest wisely; know how to take calculated risks, can meticulously diversify their investment portfolio across different borrowers and hence, end up enjoying better returns,” asserted Gandhi. Meanwhile, Keerti Kumar Jain, founder and CEO, of Anytime Loan, shared the following statistics from their platform regarding female lenders. Let us imagine a new kind of enterprise that is designed to create value through a self-regulating method that is both decentralised and auto-incentivising. This is in direct contrast to the conventional top-down hierarchical, command and control enterprise. We will do this in a two-step process. First, we set up an initial monetary policy (“the white paper”) in the form of a finite number of digital tokens that represents the overall value of the enterprise. This also creates the requisite economic scarcity to start with that is essential to this approach. Second, we set up clear encodable rules for how the participants who generate value in the enterprise will “earn” in tokens. This incentivises the participants to “do the right thing” to generate value for the enterprise, which in turn increases the value of the tokens. One basic requirement for setting up such an enterprise, is the use of a transparent immutable Distributed Ledger to establish trust between all participants of the enterprise. A Distributed P2P Lending Network in which Lenders and Borrowers are joined by a network of Verifiers, Hosting providers and Developers, all incentivised to build, maintain and use the distributed lending platform that is hosted on a blockchain technology. The high return — often at above 10 percent — that the instrument promises to the lenders, triggered a rush into the sector, and roughly a third of loans on P2P platforms went into project financing as of September. As such, the default rate of the average local project financing P2P platform operators is relatively higher at 1.7 percent, over threefold that of other P2P platforms, according to an estimate by the Financial Services Commission. The returns are roughly estimated 8-15 percent of investment per a year, without tax deducted, depending on the level of risk. Indonesia’s financial technology (fintech) players were in shock when they found out that their main regulator, the Financial Services Authority (OJK), had some disconcerting views about their businesses despite having a relatively close relationship. Online lender Finova Capital secures US$6 million Sequoia Capital backing (India). The startup provides loans to small businesses in India’s tier-2 cities and rural areas. Finova will use the funding for technology development and hiring talent. Sequoia India made its investment in two tranches, the first taking place late last year. Paytm Mall in talks with SoftBank to raise US$600 million (India).